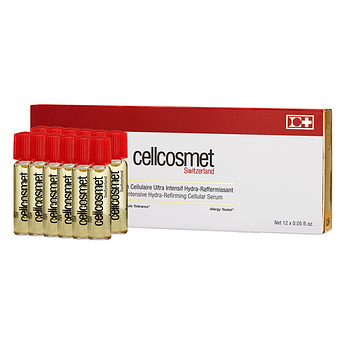 Cellcosmet Ultra Intensive Elasto-Collagen-XT Ultra Intensive Hydra-Refirming Cellular Serum has the following features: Active Stabilised Bio-Integral Cells and Expert Elasto-Collagen Complex moisturizes and firms the face, neck and décolleté. Optimises the quality of cellular renewal and restores the skin’s elasticity. Maintains and reinforces cutaneous hydration. Visibly rejuvenates the appearance of the skin. Skin is firmer and toned. Expression lines and wrinkles are smoothed; pores are tightened and skin texture smoothed. Suitable for all skin types and from age 30.